If you would like to visit the station please complete the contact form or call us on 01736 369246. Please note - all visits are subject to volunteer availability and operational requirements of the station. 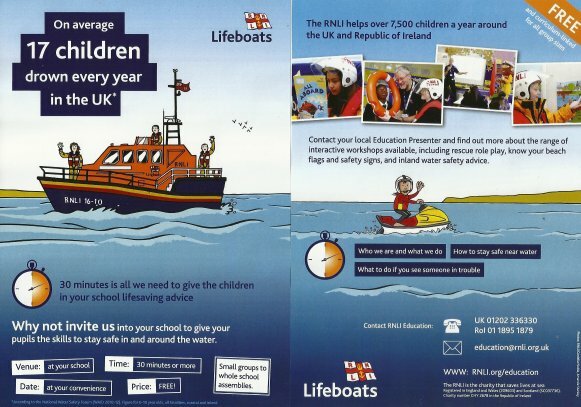 Our Volunteer Lifeboat Visits officer can visit your community group to provide a range of RNLI or Penlee Heritage talks ranging from half-hour history overview to a fully illustrated Audio visual experience lasting an hour and a quarter (Recommended talk). We have all of the equipment, just book our Volunteer Lifeboat Visits Officer for a mutually convenient time. Please note - we do not charge for these talks, but a donation is always appreciated!